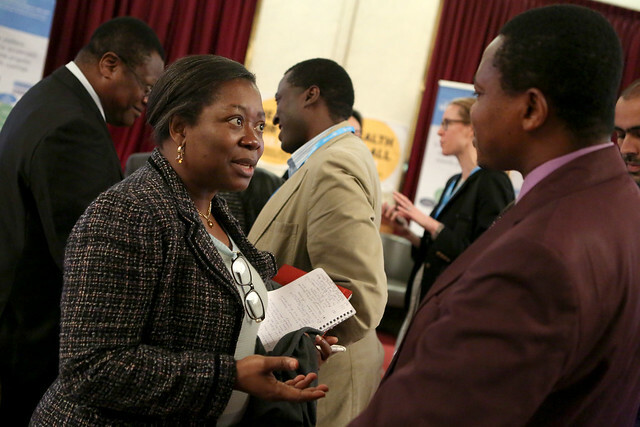 UHC2030 hosted a meeting - Working Together to Strengthen Health Systems - on 12-13 December in Geneva, Switzerland to foster productive exchange between various health systems partnerships, actors and agencies, build awareness of UHC2030 and explore how to improve collaboration. Participants included members of health systems related initiatives in the following health areas: financing and protection, governance, workforce, data, integrated people-centred health services, medicines, policy and systems research, and learning and knowledge sharing. Representatives from a range of governments, international development agencies, academia and civil society organisations took part in what turned out to be an energising and exciting event. A full article and report will be available soon, but please find some presentations and resources from the event below. Session 3 – Working together to overcome silos: identifying possible priority areas and practical ways of enhancing collaboration to strengthen health systems. Background information and the programme here. Look at the event photos below. Watch Margaret Chan’s address to the evening UHC Day celebration of 12 December. Watch the film of the UHC Day evening event of 12 December. Watch the film of the Ministerial closing session of the meeting of 13 December. Find all films on our YouTube channel.